Sen. Kamala Harris (D-CA) has championed herself as a progressive prosecutor. A New York Times contributor recently explained why "she's not." Lara Bazelon, an author and law professor, has been following Harris's career closely, and found multiple troubling examples from her tenure as both San Francisco’s district attorney and California attorney general to prove she did more harm than help to the liberal progressive cause. The writer cites a few examples to prove Harris was actually "regressive." In 2014, she appealed a federal judge's decision to make the death penalty unconstitutional and declined to take a position on Proposition 47, a ballot initiative that reduced certain low-level felonies to misdemeanors. 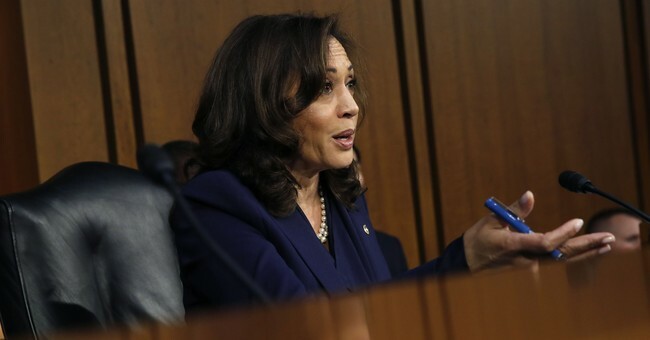 "Worst of all, though, is Ms. Harris’s record in wrongful conviction cases," Bazelon writes, before detailing a few cases in which Harris kept suspects in prison despite there being "compelling evidence" of their innocence. Bazelon regrets that Harris did not always use her power to "seek justice." Progressives have taken issue with another of Harris's decisions as California AG. In 2015, she defended the Department of Corrections in its efforts to prevent transgender inmates from getting gender reassignment surgery. At a Martin Luther King, Jr. event on Monday, she tried to explain herself. Harris insisted she did have the inmates' wellbeing in mind. “On that issue, I will tell you I vehemently disagree and worked behind the scenes to ensure that the Department of Corrections would allow transitioning inmates to receive the medical attention that they required, needed and deserved." Harris may have her share of progressive critics, but she also has plenty of fans who were over the moon to hear her finally, officially announce she's running for president in 2020. In the first 24 hours of her presidential announcement, the senator has already raised $1.5 million.